TubbyTodd – Making Bathtime the best time of the day! 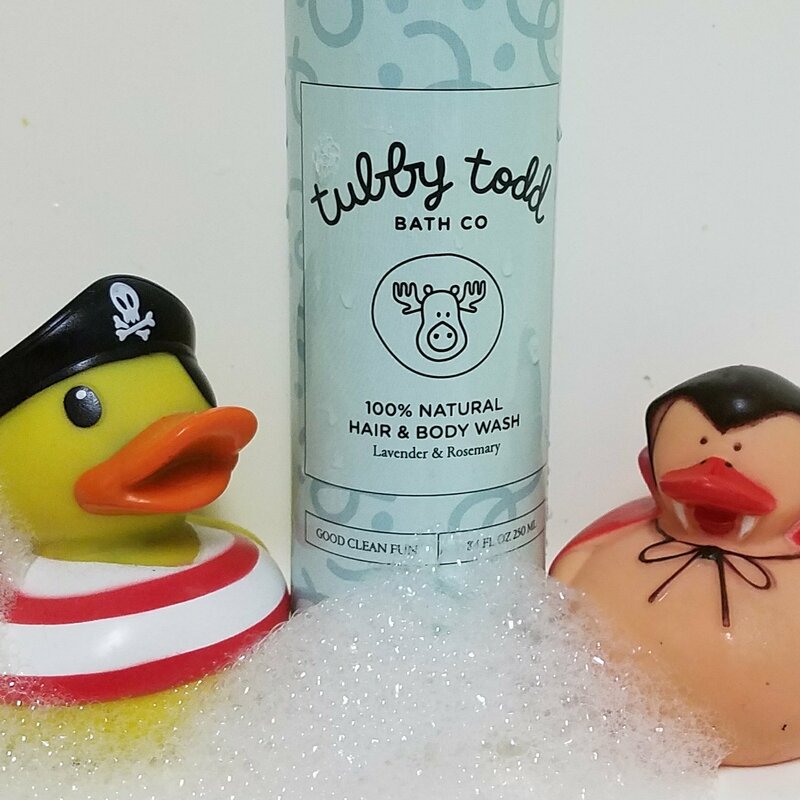 If you haven’t tried Tubby Todd bath products — you are missing out! They’re passionate about making natural products that really work! Every 100% natural product they make are not only gentle and safe for sensitive skin, but they work great! THEY ARE ABSOLUTELY TOXIN, GLUTEN, PARABEN, SULFATE, ARTIFICIAL FRAGRANCE AND COLOR, BPA, AND ANIMAL CRUELTY FREE! 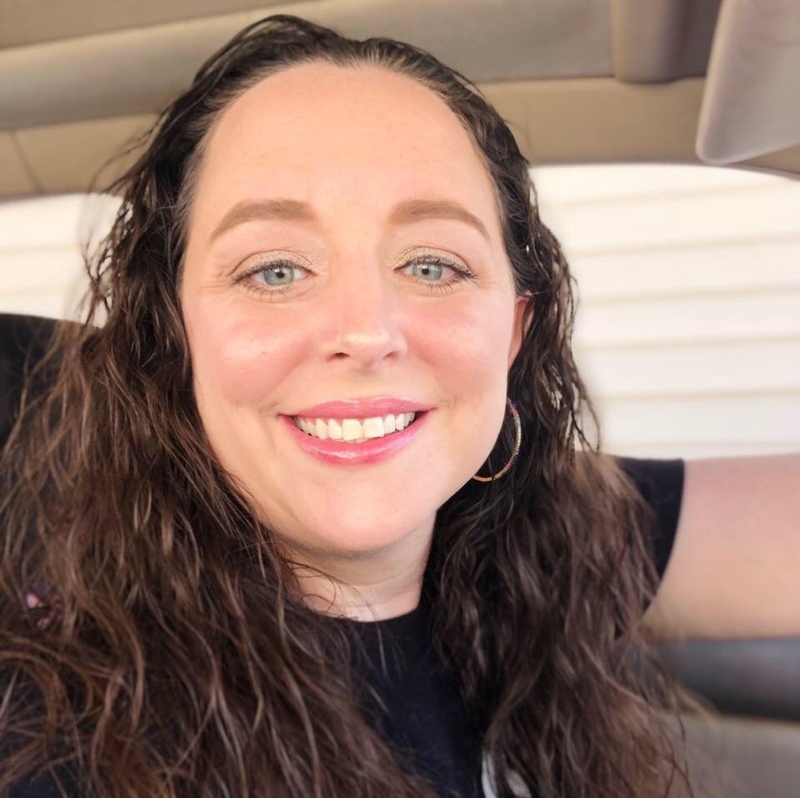 Andrea, Tubby Todd’s founder, has two sons born with super sensitive skin. Out of frustration from buying product of product that didn’t work, she decided to make her own. I can understand her frustration, as my daughter Cora, has also been struggling with extremely sensitive skin and eczema. We recently started using Tubby Todd, and have fallen in LOVE! The Fall Line looks amazing – we want to try them all! Golden Central Park Bubble Bath smells like warm oranges and vanilla Big Apple Cherry Pie Hair & Body Wash smells like tart cherry Hustle & Bustle Honeysuckle Everyday Lotion smells sweet and fruity with a hint of citrus Out of three years of Limited Edition scents #bigcitytubby is in the veryyyy front of the pack. They smell absolutely incredible and the bottle design by @janalaidlaw is adorable. Have you guys ordered yours yet? Who's excited to get theirs?! Tubby Todd stands by their safety and performance of their products, and are confident that you will love them! But in the rare instance that your child ever has a skin reaction to one of their products within one month of purchase, you can return the open product to them and they’ll refund you. 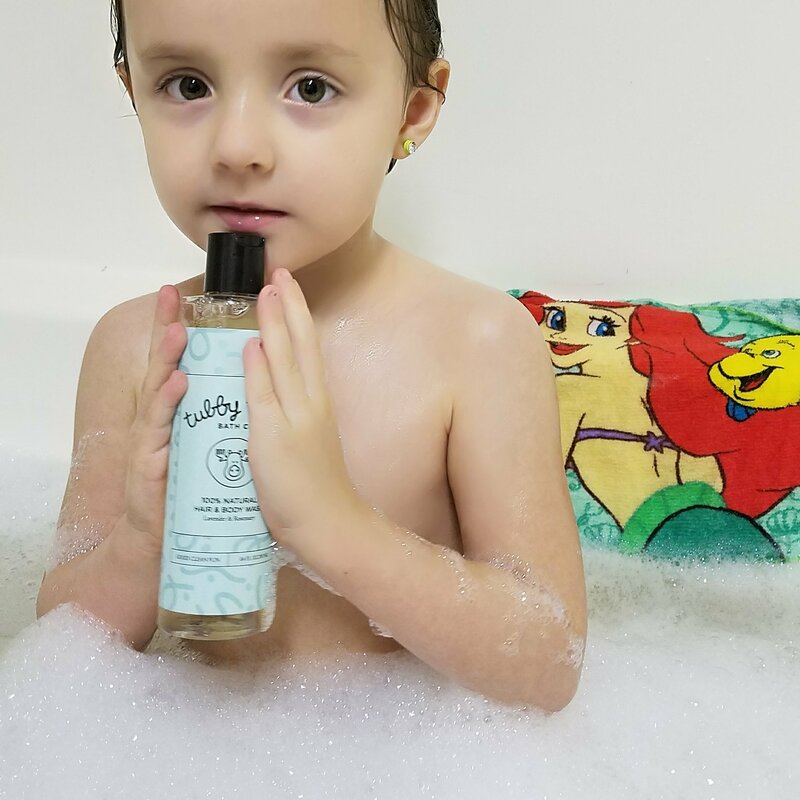 We love that our products ensure bath time is a good, clean, fun environment for everyone involved, and have complete confidence that every product we make is not only gentle and pure, but is impressively effective at getting the job done. 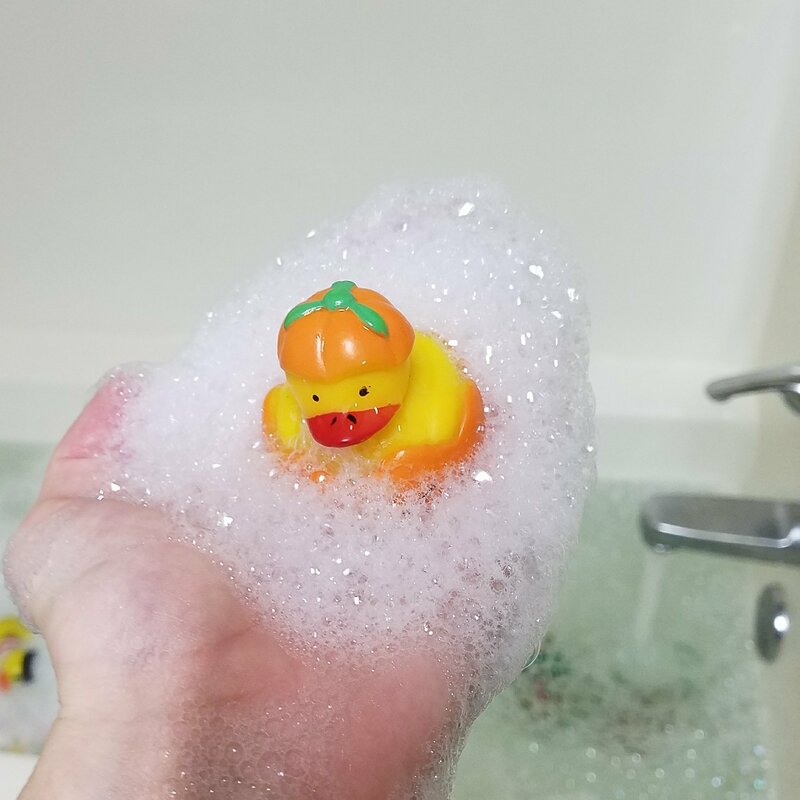 Sign up for the Bath Bomb Subscription Box, and every month receive 3 natural bath bombs in surprise scents plus the Tubby Talks question card. These are great ways to jump-start convo during tubby time with your children! Every month they choose one #tubbytalks submission winner who’ll be awarded $100 to use on tubbytodd.com. Share your little one’s thoughts by recording them in your Instagram feed and/or stories and tag @tubbytodd. The opinions expressed here are that of Cats in the Cradle only. While the products in this post were given complimentary (unless otherwise stated) for me to review, that does not alter my opinion of the product(s) mentioned. This post may contain sponsored links and affiliate links.